I have acquired quite the nice collection of Japanese craft books but have never tried a project until now. I've been doing alot of very fiddly, precise work with the paper piecing blocks I've been working on and felt the need to do some "free form" sewing. 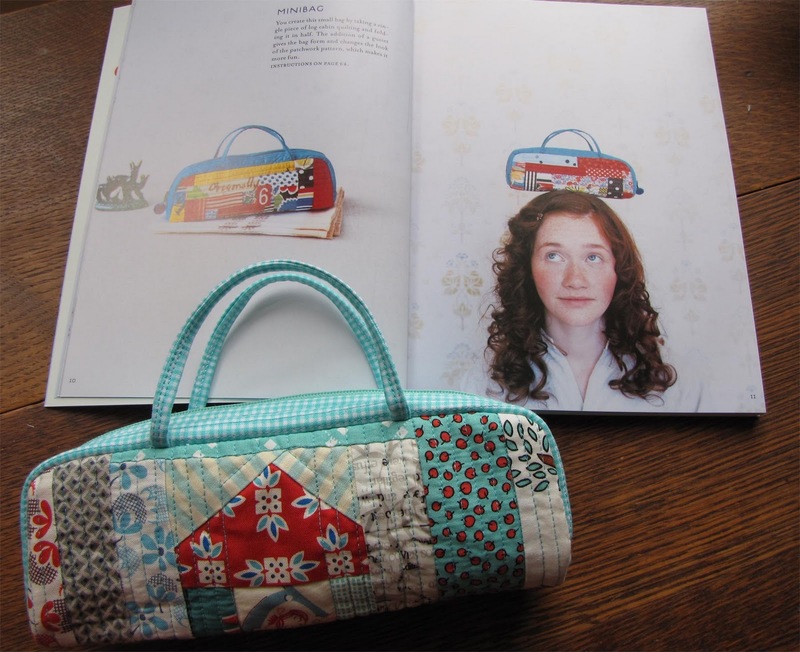 I picked out the mini log cabin bag from Suzuko Koseki's Patchwork Style. 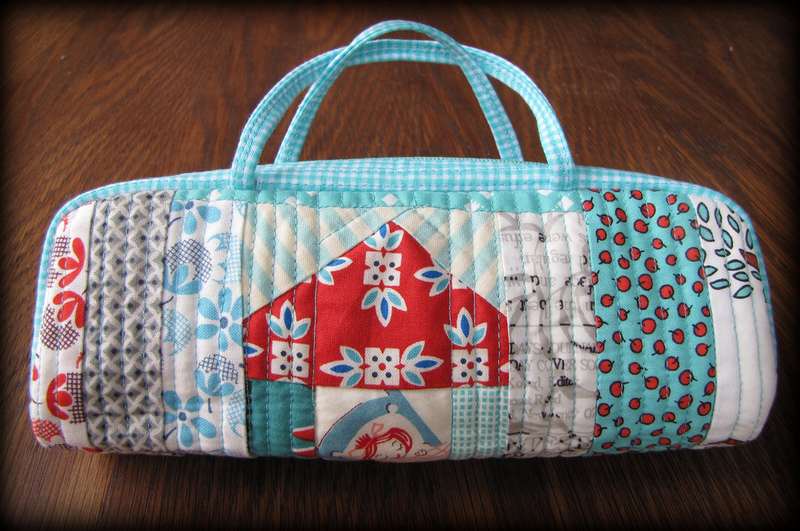 I used lots of scraps and just had lots of fun improvising as I went. The bag is quite small - about 8 1/2" long, so I may use it for a pencil pouch. the bag is so beautiful! Fiddly work, isn`t it? I`ve just found your blog, it`s amazing! 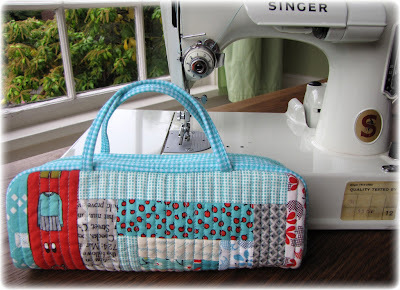 Your paper pieced blocks are gorgeous! love your farmer`s wiwes! i love your blog update! very pretty. that bag is gorgeous. did you do the bias tape finish on the inside? i used that technique for a pretty little pouch swap bag and it was the slowest, pokiest thing ever. it may be awhile before i attempt a bag like that again. I love this little bag. I've got the pattern but haven't been game to try it yet. So, well done you! Beautiful! It's such a sweet little bag. I started making one before I had the book - it got a little wonky. Next time I shall use the intended pattern. Thank you for the lovely color inspiration!